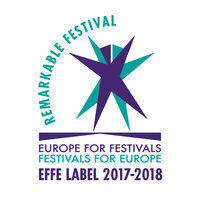 "Little School of Creativity - Improvement of creative skills of high school students as well as key competences for personal and professional development" is a project that aims to make young people more familiar with the exciting and dynamic world of creative industries and introduce many opportunities for personal and professional development through informal workshops. The project "Little School of Creativity" is supported by the Ministry of Education, Science and Technological Development of Republic of Serbia and in the Directorate for Sport and Youth of the City of Novi Sad. Why we decided to get together, work and learn with high school students? Because creative skills influence the development of creative abilities of students, empowering them to acquire practical skills for future careers, develop a sense of planning and conceiving ideas and attain knowledge the can be used in any area. In addition, the creative work encourages team spirit and exchange ideas and cooperateionon joint ventures, regardless of religion, race, nationality or any other affiliation. Moreover, the creative industries encourage international cooperation and interculturalism, which are values ​​that we want to instill to students within our program. Today, when youth unemployment in Serbia is high, it is necessary to master the skills that can not be acquired in the formal education system or are not sufficiently represented, and whose knowledge provides a great advantage when entering the studies, during social engagement through the Student and Youth Organization during applying for a job or entrepreneurial ventures. Through practical exercises and team work we will learn how to conceive and plan creative projects, how to create graphic design, video recording and assemble and promote ideas and materials through social networks. As part of the program we will organize gatherings with the producers and managers in culture who successfully realize cultural events such as festivals, exhibitions, concerts, as well as with young artists - directors, musicians, designers. - Marketing skills - internet promotion instruments with a focus on social networks (Facebook, Instagram, YouTube ...). In the long run, mastering on creative skills and adequate free software will enable students to independently plan and implement their own ideas, ie. initiatives to translate into action (humanitarian actions, events, festivals, activist initiatives ...) and fulfill the tasks in the course of their education or work (project planning, creative graphic and video presentations, etc. ).